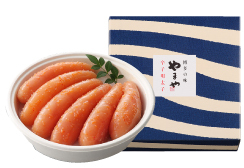 Yamaya was founded in 1974 by a husband and wife with this thought: "Let's make delicious, spicy mentaiko(pollock roe) that is not just spicy." 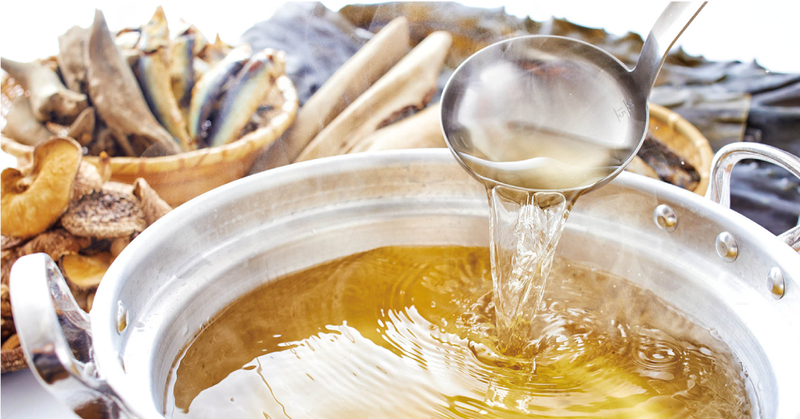 They pursued their ideal flavor by trial and error in their home kitchen. 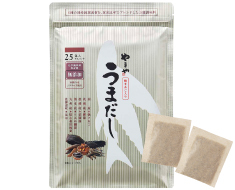 This is how the history of Yamaya began. 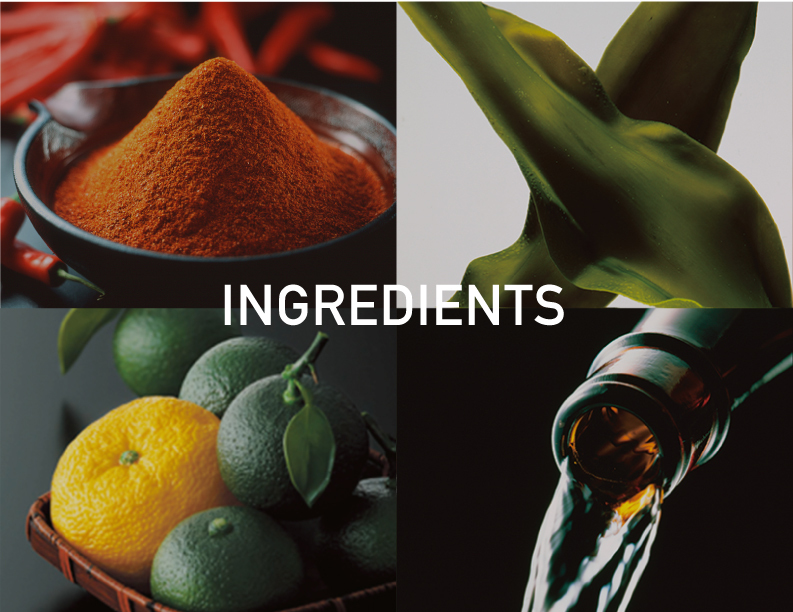 Since then, only ingredients with superior taste, quality and safety have been used to create Yamaya's uncompromising flavor. Our motivation comes from the joy of hearing our customers say, "This is delicious." 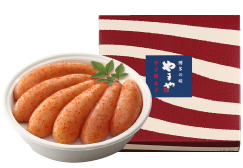 We will continue to provide our delicious spicy mentaiko from Hakata to Japan and the rest of the world. 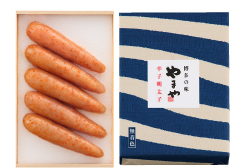 The mainstays of our popular flavors are four standard ingredients of Japanese food. 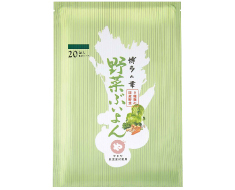 This idea is what made us travel across Japan in search of ingredients, and eventually we found the best ingredients: "sake" from Kitaya, Fukuoka, "kelp" from Rausu, Hokkaido, "yuzu" from Kyushu, and our own special blend of "chili peppers." 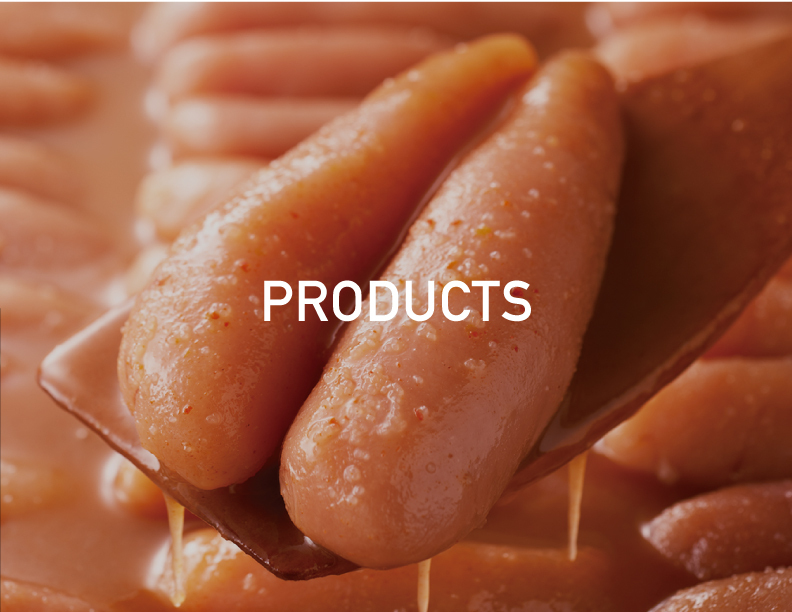 By selecting only the best ingredients, we created a special pickling sauce we call "artisan sauce" without using a drop of water. 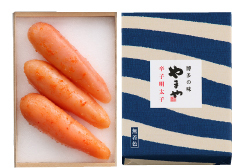 Our attention to quality of the ingredients is what creates our delicious, spicy mentaiko. 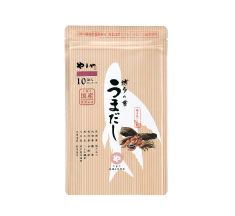 From our experience in making mentaiko, in which we gained much experience in picking out the best ingredients, we created the Japanese soup stock "Umadashi," which became an instant hit. 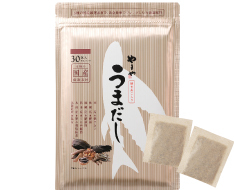 With the soup stock using flying fish, which is traditionally used in zoni (a New Year's dish with rice cakes boiled with vegetables) and commonly eaten around Hakata, we had no idea how it would eventually be eaten throughout Japan. 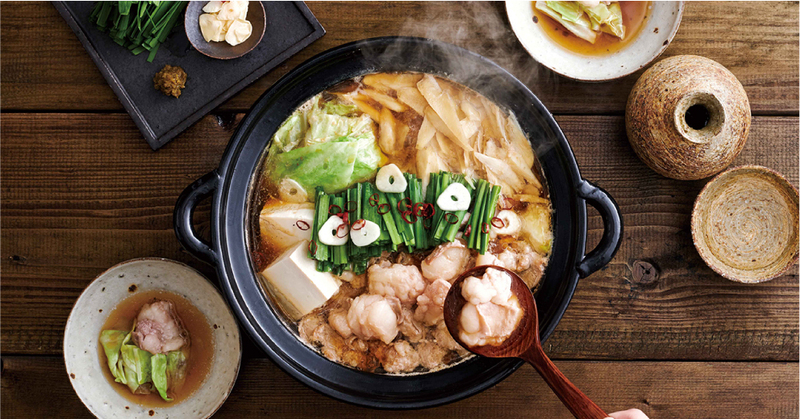 We wanted more people to enjoy the popular Motsunabe (Offal Hot Pot) of Hakata, so we produced "Hakata Motsunabe (Offal Hot Pot), Yamaya" for Japan as well as South Korea and the United States to bring the flavors of Hakata to the world. 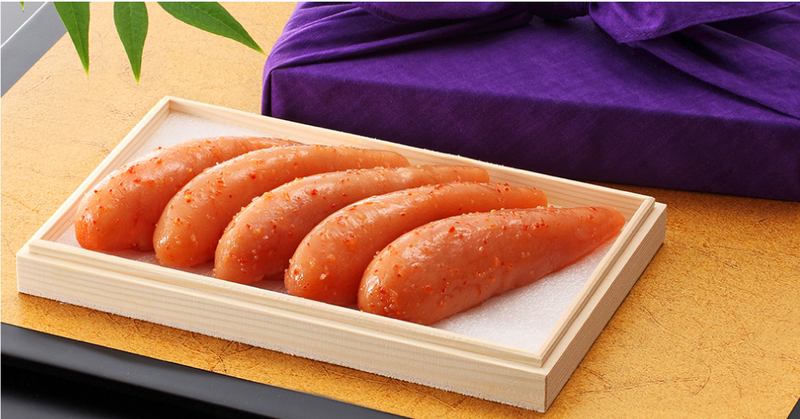 Maturing for 168 hours in artisan sauce is what brings out the body and flavor of our delicious, spicy mentaiko. 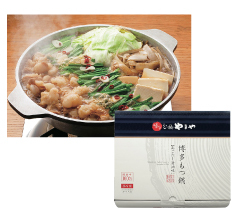 "Motsunabe"(Offal Hot Pot) is a Hakata's traditional hot pot dish. 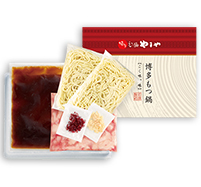 Our retaurants, "Hakata Motsunabe Yamaya" offers you an authetic experience of this dish which are located in Japan, South Korea and the United States. Dinner kits also available. 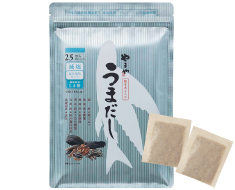 Our flavorful, all-purpose Japanese soup stock.Umadashi with flying fish comes in individual packs, a flavorful soup stock with profound taste that can be made in only 1 to 2 minutes. 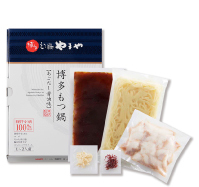 Our 6 different select ingredients make the perfect mix, creating well-rounded stock for use with miso soup, udon, shabu-shabu and many more Japanese dishes. Easy and delicious! 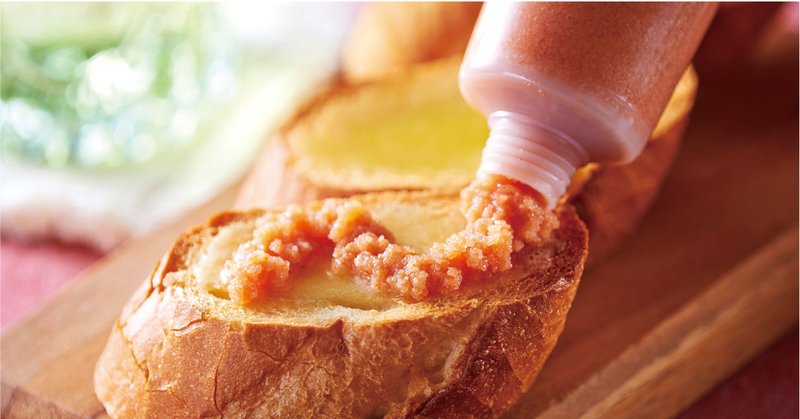 Just squeeze the tube whenever you want to add mentai flavour to any kinds of dishes. 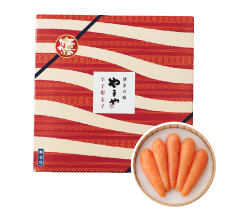 Its package reminds you with specialities in Hakata, as it's designed with polla-dots, representing spicy pollack roe, and Hakata-Ori(Belt for Kimono) patterns. 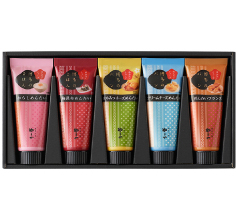 Each tube contains 100g for 756yen. © Yamaya Communications,Inc. All Right Reserved.